The DC cinematic universe has a new superhero — a 14-year-old boy who transforms magically into a grown-up superhero when he says the name "SHAZAM!" 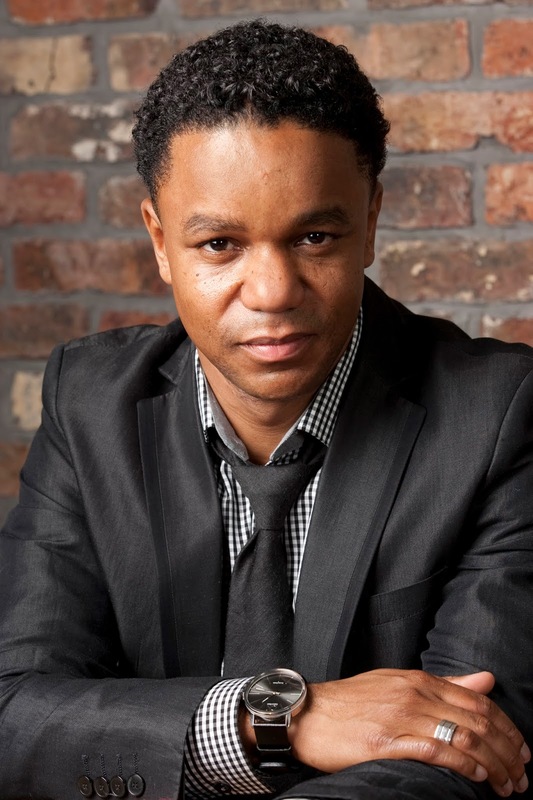 Latest top-flight visitor to Butler University: Vibraphonist Stefon Harris concludes a two-day residency with a "neighborhood concert"
Stefon Harris brings his 'A' game to Butler. Now almost unbelievably middle-aged, Stefon Harris — who helped sustain the small but vital jazz mallet-instrument tradition when he burst onto the scene in the 1990s — joined forces with true youth Thursday night in a Butler University Jazz Ensemble concert. The Schrott Center for the Arts was fairly well filled for the free performance in the Neighborhood Concert series. Before the guest star's appearance, a short first half introduced the current big band in a state of readiness and purposeful drive. Under the guidance of Matt Pivec, Butler's director of jazz studies, the ensemble acquitted itself well in Dave Rivello's "Suspension of Disbelief" and Marcus Miller's "Splatch." I liked the calm yet alert way the band came in behind Xavier Robertson's tenor-sax solo in the first number. And the "shouting" back and forth among the sections was essential to the groove in "Splatch," with its prominence of guitar and electric bass sustained confidently by Eric Garcia and Isaac Beaumont. Born in 1973, the much-traveled, pedagoically astute Harris (a guest at the 2014 Indy Jazz Fest, by the way) seemed to be a generous and supportive academic visitor. In concert, he varied his exhibitions of virtuosity on marimba and vibraphone with just enough commentary to display his genuine engagement with the band and the audience. His solos sometimes spanned both instruments, and he often emphasized the expressive value of their difference in timbre: glossy (vibes) versus matte (marimba), to put it in visual-art terms. His exquisite feeling for time was well-deployed in a reflective interpretation of Billy Strayhorn's "Isfahan," an imperishable ballad suggested to him by Pivec when the two conferred by phone on repertoire. In contrast, when he wants to maximize the percussive nature of a mallet instrument, he holds nothing back. His forceful showcase in Thad Jones'"Big Dipper" was ample evidence of that. His collaborative zest had already been established with a spirited jaunt through Horace Silver's "Cape Verdean Blues," and that ringing, exuberant authority, fully seconded by Pivec's band, was replicated in the set-closer, Sonny Stitt's late-bop standard "Eternal Triangle." Harris is a prolific composer as well. In this outing there was an inviting, restless piece he wrote for the SF Jazz Collective, "The Devil in the Details." The other original was a tender love song to his wife, "Let's Take a Trip to the Sky." In this arrangement, at least, it seemed rather a drifty work, forever moving toward elongated points of rest — too much a cadential taffy pull to make much sense on first hearing. That minor disappointment did little to mar for me the welcome opportunity again to savor in concert the fleet ingenuity and warmth of Harris' vibes and marimba mastery.